Looking for ways to save money this holiday season? Improving your home’s energy efficiency is a great place to start and it can be easier than you think. Here are a few tips and tricks to help guide you. Five ways to save energy during the holidays. 1. Power down your electronics by using power strips. #Didyouknow the average US household spends $100 per year powering devices that aren’t in use? So take the time to turn off your electronic devices and unplug anything that’s not currently being used. 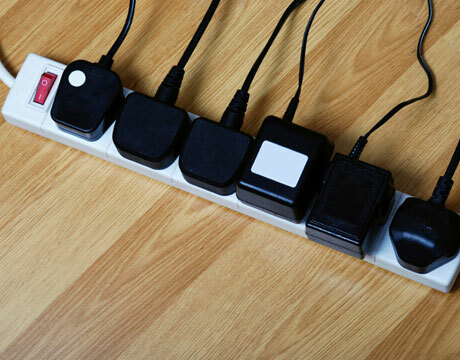 An easy way to do this is to plug all of your devices into a power strip. Then with the flip of a switch all of your devices can be disconnected from the power source at once. 2. Replace your light bulbs with ENERGY STAR certified light bulbs. The EPA recommends replacing five of your most frequently used light bulbs with ENERGY STAR certified light bulbs. Doing this will not only reduce your carbon footprint, but can save you $75 a year on your energy bill. 3. Install a programmable thermostat for maximum energy efficiency. When installed and used with the four pre-programmed temperature settings for weekend and weekdays, you can save about $180 each year while staying comfortable. Traveling during the holidays? Turn down your thermostat (or use a programmable one) before you leave so that you don’t generate unneeded heat. 4. Put your holiday lights on timers. 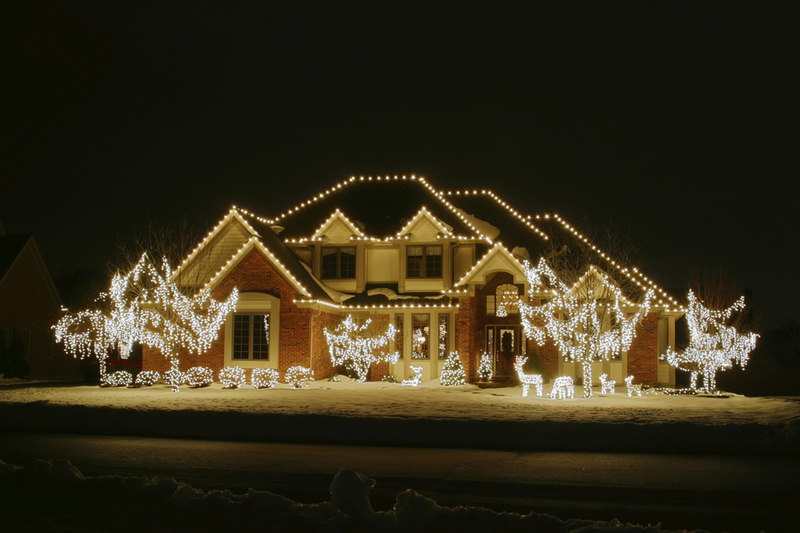 Using timers and motion detectors for indoor and outdoor holiday lights can help you ensure your lights are on only during your preferred hours. And let’s face it, 40 consecutive nights of illuminating your home adds up. 5. Use LED holidays lights to save energy. According to the Alliance to Save Energy, LED holiday lights use up to 90% less energy and can last up to 40 holiday seasons. And the cost to operate LED lights make traditional bulbs look like energy hogs. At 12 hours a day for 40 days, a string of incandescent lights adds $10 to your energy bill, while a string of LED lights adds just over $0.25. For more energy-saving tips check out Improve Energy Efficiency in Your Home. This is great info! The post shows how you can start with windows and end with other things around the house.